You will need access to SQL Server Management Studio. The Hostname is the first identifier in the SQL Server Management Studio, coming before the brackets. The Database name can be found by expanding the Database folder. If you need help identifying the correct database, please contact us at help@assembly.education. The Schema can be found by expanding the tables list. 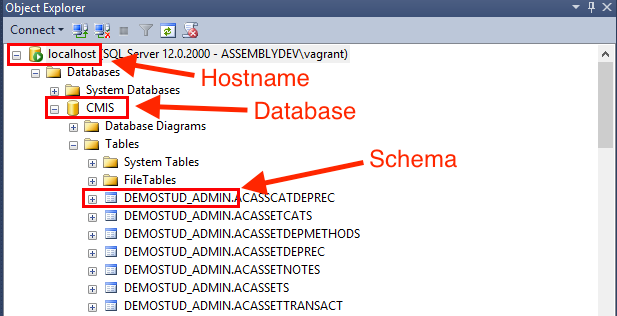 You will see a list of all the table names, preceded by the schema, in the format schemaname.tablename (for example DEMOSTUD_ADMIN.ACASSCATDEPREC). 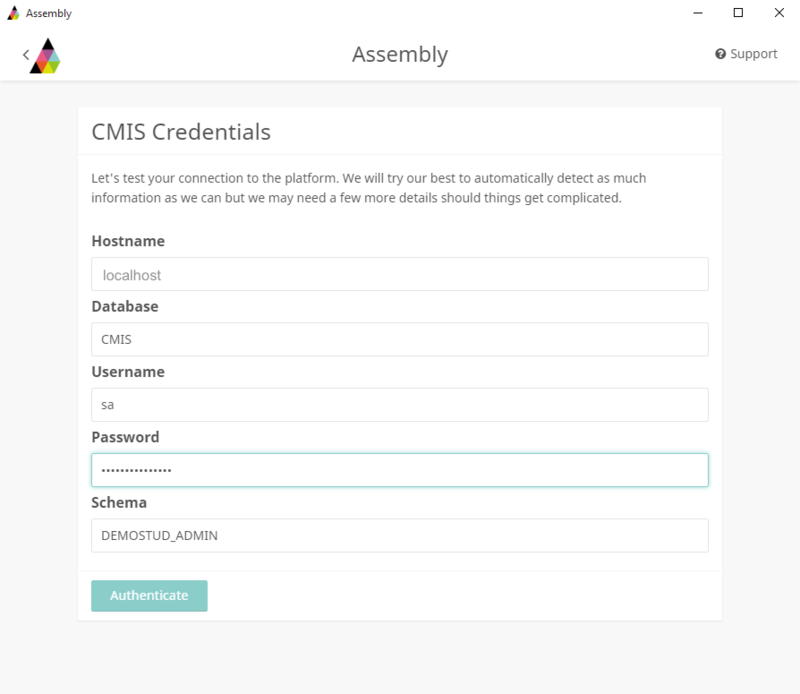 You can now enter this information in the Assembly installer. Please contact help@assembly.education if you require further assistance with finding your CMIS credentials.